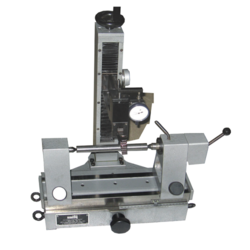 We are a leading Manufacturer of gear pcd runout checking device and gear checking equipment from Pune, India. Our company is extremely engaged in presenting a comprehensive range of Gear PCD Runout Checking Device. Our offered equipment is manufactured by our skilled professionals with optimum quality material & contemporary techniques. This equipment is best for gear manufacturers for gear PCD runout checking. Furthermore, this equipment is offered in various specifications as per the needs of customers. 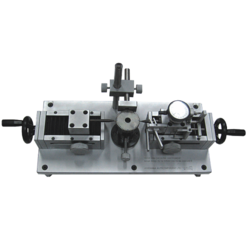 We are highly appreciated in the market for being successful suppliers and manufacturers of Gear Checking Equipment which is used for worm gear worm screw center distance measurement. Offered equipment is designed from top notch material as per the quality norms under the supervision of experts. Our equipment is useful for inspection of diameter over the ball of gear. Also, this equipment has gained a huge demand in the market for its excellent quality.